There are many important metrics in Six Sigma, all of which are discussed at length in Lean Six Sigma Green Belt training. A few of these metrics deal with defects. As free Six Sigma courses will also emphasize, the Six Sigma principle is all about reducing the number of defects that a process delivers. That is why metrics dealing with defects are so critical to understand. 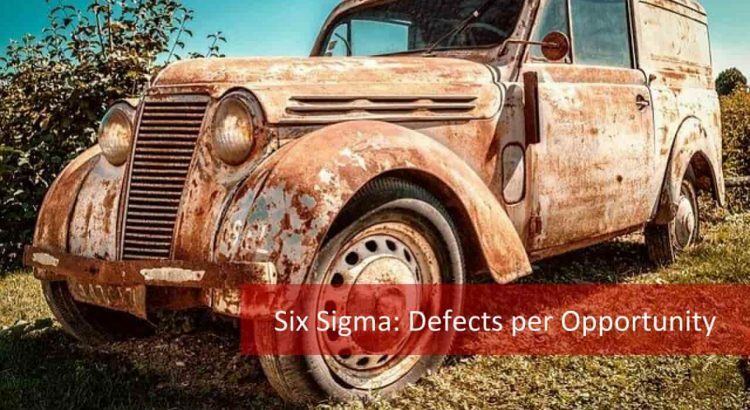 The primary metrics used in the Six Sigma approach are Defects per Unit (DPU), Defects per Opportunity (DPO) and Defects per Million Opportunites and Parts per Million Defectives. This article will discuss Defects per Opportunity (DPO). 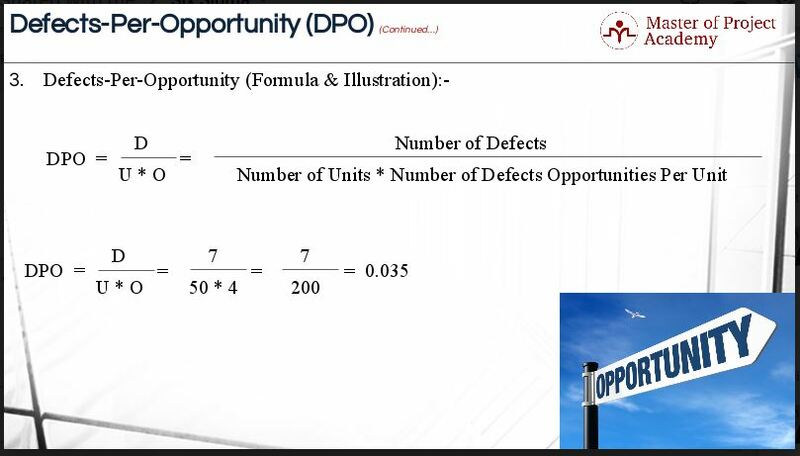 The Six Sigma metric that we’re discussing today is Defects-Per-Opportunity, which is abbreviated as DPO. Before moving on to DPO, let us first define the term ‘opportunity.’ ‘Opportunity’ in the Six Sigma methodology refers to the chances to commit errors. 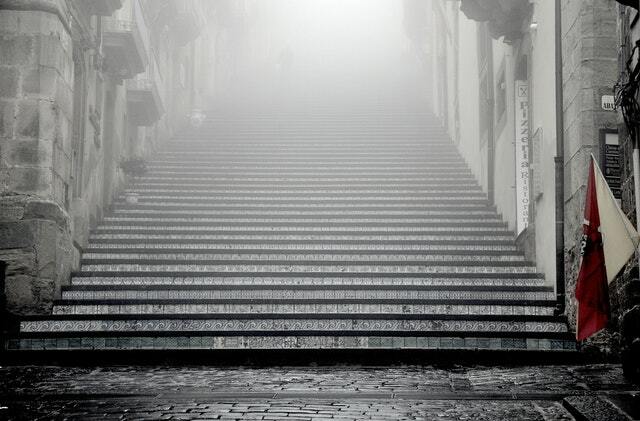 The chances are nothing but the possibilities or probabilities. Later we will discuss an example using the printing of business cards. When printing a business card, many things can go wrong. For example, there may be a typo, or it may be incomplete, incorrect or damaged. This gives us a total of four opportunities for a defect. There is a link between the number of opportunities and defects. The higher the number of opportunities in the process, the higher the process is prone to commit errors. Simply speaking, mitigating or reducing the number of opportunities will help you control the quality of the output of your process; in accordance to what your client is expecting. So, what is DPO? It is the ratio of the number of defects in a sample to the total number of defect opportunities. As a result, the ratio here helps you count the average number of defects which occur in the total number of opportunities in a sample group. There are five steps to calculate process’s DPO. The first step is to determine the total number of units to be sampled. In other words, you have to determine the sample group size. As a rule of thumb, the sample size should be small enough to be manageable, yet large enough to reflect whatever problem is undermining the process. The fourth step is to count the defective opportunities within the sample group. You will simply have to calculate how many opportunities within the sample group actually contain defects or errors. The fifth step is to divide the total number of defects by the total opportunities only for the sample size under consideration. This step gives you the DPO as a decimal number, which can be converted to a percentage. Do you know how to calculate DPO? Here is a quick defect opportunity calculation example. Mr. X has got the business of printing visiting cards. Each order is considered as a unit. Each order has four defect opportunities i.e. incorrect, typo, damaged or incomplete. Fifty orders have been randomly selected and inspected. Out of the fifty orders, six orders have a problem. Two orders are incomplete (two defects), one order is both damaged and incorrect (two defects), and three orders have typos (three defects. Therefore, there are a total seven defects out of fifty orders that have been sampled. Let us have a look at the defects per opportunity formula, the formula for calculating DPO. The formula is the total number of defects divided by the total number of units sampled or inspected multiplied by the number of defect opportunities per unit. Therefore; DPO is equal to seven divided by two hundred (fifty times four). The answer is 0.035. The conclusion is: On an average, each unit of a product contains 0.035 opportunities for committing defects or errors. In other words, each set of hundred orders would contain 3.5 defect opportunities. 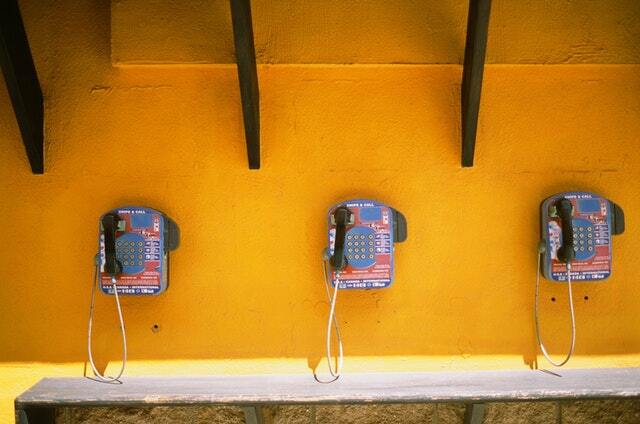 Let’s imagine a call center. There are several opportunities for errors: the number of seconds before the call is answered, the customer satisfaction rate, and whether the call has been resolved. In all of these cases, the voice of the customer will determine when these key performance indicators are considered defects or not. For example, the customer expects that the call will be answered within 60 seconds, so if the call center employee answers the call after more than sixty seconds have passed, it is considered as a defect. If customer satisfaction is rated on a ten point scale, the business may decide that anything below eight on the scale is considered as a defect. In the case of resolving the call, it is easy. So in this example, there are three opportunities for defects. The same formula for calculating DPO is applied in this case. Let’s say that fifty calls were sampled. Which means that there are 50 units. There are three opportunities for defects, so one hundred and fifty opportunities. Five calls had defects, and there were seven defects in total. So, to calculate the DPO, you would divide seven by one hundred and fifty (50 x 3). The answer is 0.46. In other words, for every 100 samples, there would be 4.6 defect opportunities. Now we have seen the formula for calculating DPO and two examples using this formula. DPO is simple to calculate. Regardless of its simplicity, DPO is an important metric in Six Sigma, as it is needed to calculate Defects per Million Opportunities.